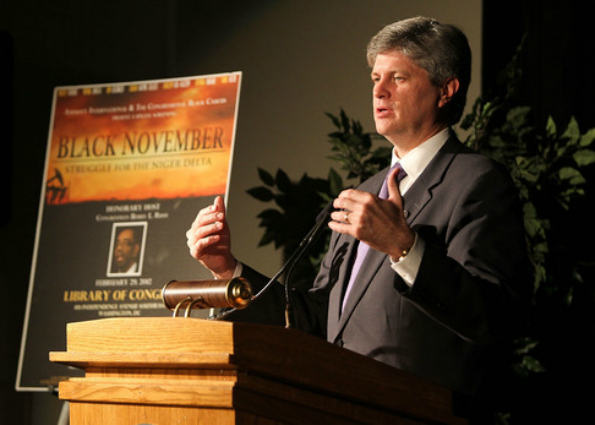 Access Pollywood: Focus on Nigeria The Library of Congress hosts "Black November" film screening to conclude Black History Month. Black History Month not only offers the opportunity for Americans to learn about the struggles that many African Americans have had to endure in the past, but the current civil battles being fought around the world. Educating citizens about the many hardships being experienced by the people of foreign countries is a necessary task that will ultimately allow Americans to appreciate their own democratic government. Because of this, The Library of Congress was eager to play Nigerian native Jeta Amata and Captain Hosa Wells Okunbo’s political film, Black November. The film tells the true story of the Niger Delta community’s attempt to challenge its own nation’s government and a multi-national oil corporattion. Although an estimated 50 percent of Nigeria’s oil exports goes directly to the U.S., few are aware of the hardships that the people of Nigeria are facing due to a substantial amount of oil spills and a lack of government support. 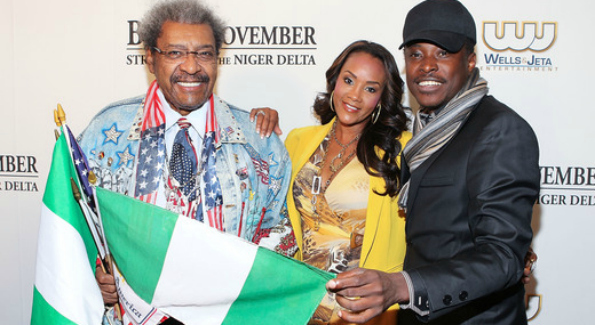 To oppose international ignorance and bring attention to Nigera’s opression, Oscar winner Kim Basinger, Oscar nominee Mickey Rourke, Anne Heche, Sarah Wayne Callies and Vivica Fox star in the film. The screening was recently held in the Madison Building and was hosted by Congressman Bobby L. Rush of Illinois, as well as Amnesty International and the Congressional Black Caucus. 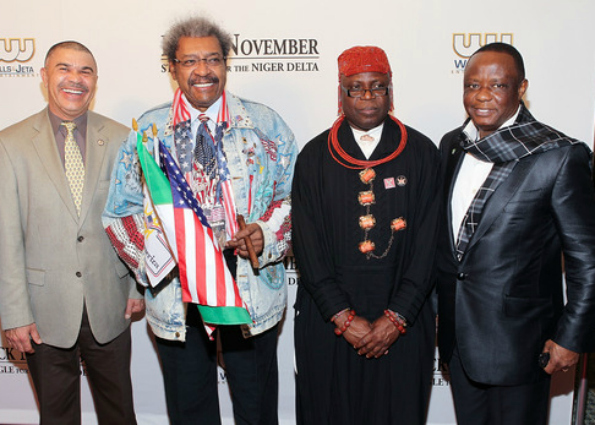 Although many other political figures attended the event, boxing promoter, Don King, was the most memorable attendee, as he rallied up the crowd because of his strong belief in the cause. At the conclusion of the movie, promoters for the film spoke a few words on the severity of Nigeria’s situation and honored and thanked those who participated in Black November‘s production. Following the presentation, the audience was invited to the One Lounge, to join the cast and crew in a toast to the completion and the powerful message of Black November.